Portsmouth, NH Chiropractor, Dr. Craig Shannon, D.C.
Shannon Chiropractic Clinic in Portsmouth, NH is owned and operated by chiropractor Dr. Craig Shannon, D.C. He has lived an active and athletic lifestyle, and understands the benefits of maintaining the body for peak performance. Whether you’re a weekend warrior or a professional athlete Dr. Craig’s ultimate goal is to restore and maintain your body to help you achieve a pain free, active, and healthy lifestyle as quickly as possible. At Shannon Chiropractic Clinic, Dr. Craig gets you on a healthy path day one! After a quick initial exam, Dr. Craig will recommend a personalized treatment plan based on your health history and lifestyle goals with achievement of rapid results at the forefront. In addition to excellent chiropractic care, Dr. Craig will give you tools that will allow you to take an active approach to your health so that you can get better and stay better. As appropriate to your unique needs, Dr. Craig may recommend stretching and exercise routines, lifestyle and/or ergonomic changes, and products to help improve your overall health. Dr. Craig provides excellent and thorough chiropractic adjustments and takes the time to see that all your questions and concerns are addressed. If Dr. Craig can’t get you better, he will make other suggestions or refer you for alternative treatments. Shannon Chiropractic Clinic is here to work with you to get you pain free, active and healthy. Schedule your appointment and feel the difference chiropractic care can make today! Dr. Craig always provides me with excellent and friendly service! I come in for my back, but have found additional benefits for my neck and shoulders. I had been dealing with an issue for quite some time…not being able to throw a ball without much shoulder pain. Not good when you help coach high school athletes. It all started in one day, just could not do it any longer. 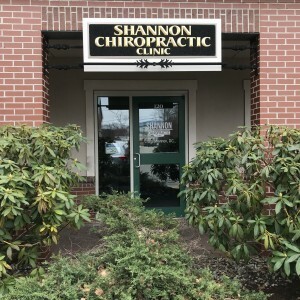 I had been with another chiropractor up to a few years ago (& others for the last 35+ years) and until I saw Dr. Shannon 2 years ago, my inability to throw & pain continued. Craig began adjusting my shoulders, neck, etc…and after just a little time, I gained most of my strength back to throw with hardly any discomfort. Without hesitation…I give Dr. Shannon all the credit for my recovery…period. He is a wonderful man, a very good doctor and I am proud to call him my friend, too. Thanks Craig!! You’re the BEST!! I’ve sought manipulative treatments for spinal adjustments for nearly 50 years. Having worked at an osteopathic hospital–and at other nosocomial institutions–I’ve had many an occasion to seek treatment from physicians trained in osteopathic manipulative treatment. Over the years I’ve also received treatments from chiropractic professionals, many of whose skill was very good. Without any hesitation, I can state that Dr. Craig Shannon is by far the best of all the practitioners I’ve encountered. Within minutes of entering his office last year as a first-time patient, I was able to walk again nearly pain-free. A few treatments later, I discarded the canes I had been using, completely free of pain. Other members of my family have also become patients since then, echoing my positive feedback. 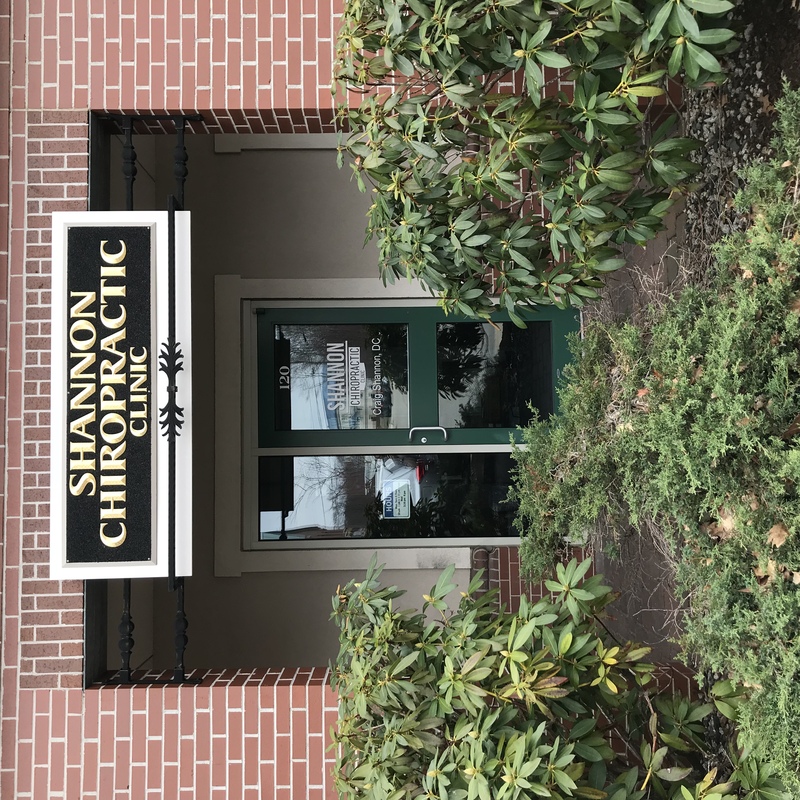 Dr. Shannon’s office is professionally run and efficient, but small enough so that personal attention and genuine concern are cornerstones of its operational philosophy. The doctor and his staff really listen to patients and work with them for effective treatment. Office hours are convenient, with free parking and an excellent location. If you need spinal adjustment, head straight for the office of Dr. Craig Shannon. This chiropractic professional receives the highest marks possible from me! I’ve been dealing with chronic migraines for over 20 years. In addition to regular treatments with my neurologist, I’ve recently decided to go see Dr. Craig Shannon for additional help and relief. After several visits I was amazed at the results of his treatment. The tension and pain in my neck and shoulders, which contribute/trigger my migraines, were put to ease. Although I am still seeking the ultimate cause of my migraines, Dr. Shannon’s care has helped me reduce and limit the number of my migraines and has had a positive impact on my life. I’ve been seeing Dr. Shannon off and on this past year and every time they are easily able to book me for the dates/times that I want. My most recent visits were due to lower back pain. I was having trouble walking and getting out of bed. Even getting dressed was a challenge. Within a couple days my pain has been greatly reduced and I am able to move and do all the things I want to do. I have much more energy and I would absolutely recommend chiropractic to others. It is a natural way to become pain free without medication. Dr. Shannon is a skilled practitioner. I was hesitant at first to try chiropractic services, but my results were amazing! You will be pleased with this practice setting. Call with any questions or concerns.